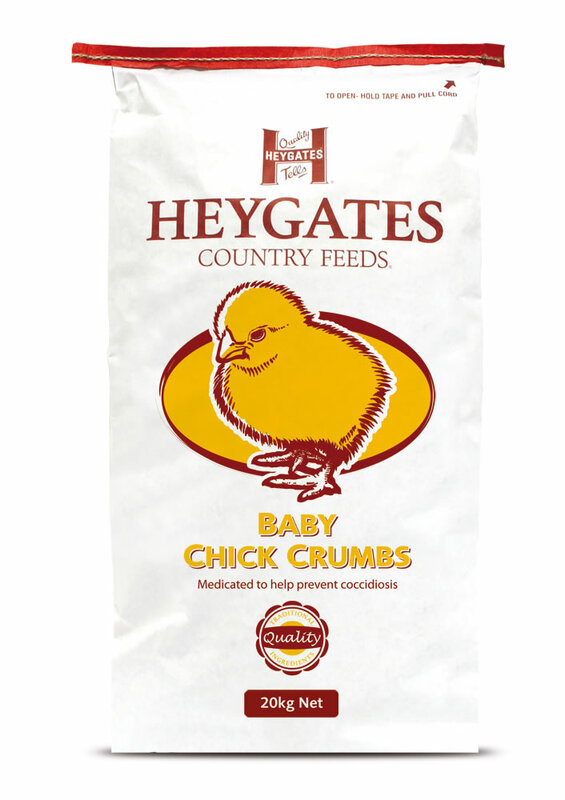 Baby Chick Crumbs is a high protein product for chicks up to 3 or 4 weeks of age. A typical chick will eat about 400 grammes over this period. A coccidiostat is added to help prevent disease. 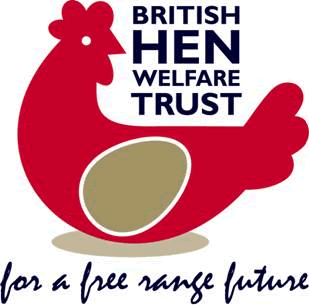 A breeder ration with fish oil suitable for game birds and domestic poultry. Contains extra energy and vitamins to maximise the production of viable quality eggs. 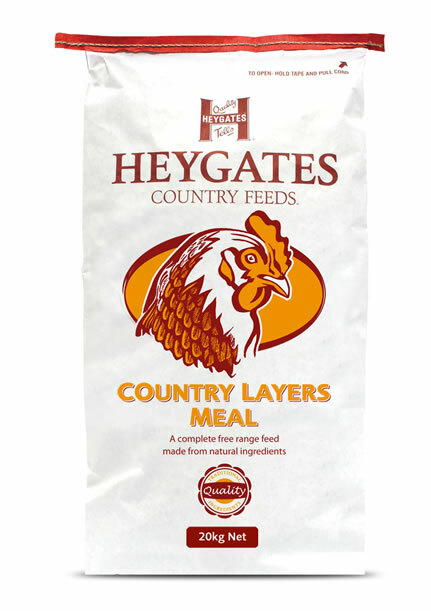 A complete feedingstuff suitable for feeding to laying hens, ducks & geese. This is a premium quality feed that gives fantastic results. Beware of imitations this is the original 'coarse' layers meal recipe and still the best. Contains cooked linseed oil, a good source of omega 3 fatty acids. Can be fed dry or add water to make a tasty mash. Formulated using wheat grown on our own farm. COMPOSITION: Wheat, Hi-Pro Soya Meal, Micronized Maize Meal, Calcium Carbonate, Cut Maize, Split Peas, Oat Groats, Lintec(cooked linseed meal), Minerals & Vitamins, Mono-Calcium Phosphate & Soya Bean Oil. A non medicated 3mm grower/maintenance pellet suitable for following on from Country Chick Crumbs through to maturity. With added Omega 3 oils for healthy birds and wonderful eggs. Contains grass, maize and marigold petals to promote a naturally golden yolk colour. 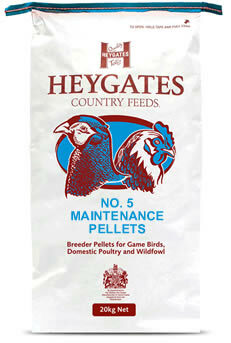 Small pellet size - suitable for bantams. 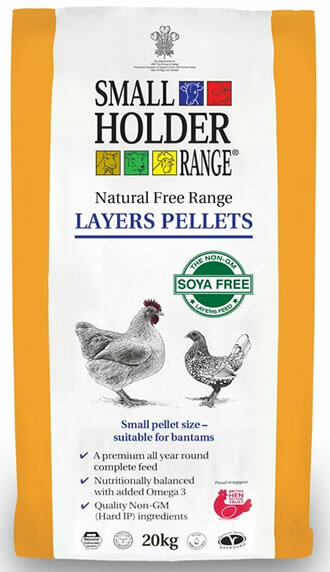 Made from quality Non-GM ingredients and with added Omega 3, Natural Free Range Layers Pellets contains no artificial colours and is Vegetarian Society Approved. 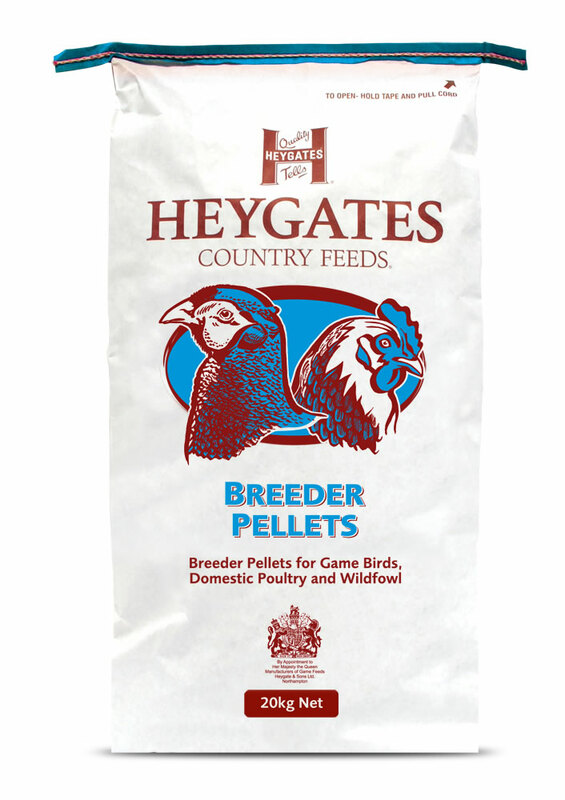 Boosted with vitamins and minerals, Natural Free Range Layers Pellets provides everything your hens need for optimum health all year round. Ideally fed as an additional treat for birds to peck at in the afternoon. Mixed corn should not be fed as a replacement of a balanced pellet. It should be fed as part of a balanced diet. It can be scattered on the ground to encourage the natural foraging instinct, whilst providing carbohydrates to help your poultry to regulate their body temperature. A complementary feeding stuff for all classes of poultry. Designed to be fed alongside existing diet. A natural way of improving condition and overall health of your birds. Can also be fed to pigeons, doves & wild birds. COMPOSITION: Cut Maize, Red Dari, Oat Groats, Striped Sunflower, Cut Peas, French White Millet, Black Sunflower, Whole Linseed, Tares, Hempseed & Soya Bean Oil. Suitable for all classes of poultry. 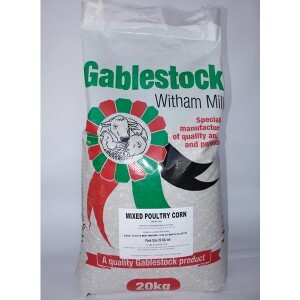 Mixed Poultry Corn is a complementary feeding stuff for chickens, ducks & geese. 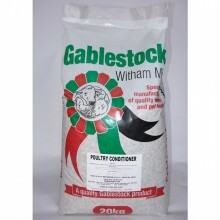 Ideal to feed along side layers pellets or meal or feed as a treat in the afternoons. Contains 25% cut maize. Formulated Using Wheat grown on our own farm. Can also be fed to pigeons, doves and pheasants. COMPOSITION: Wheat, Cut Maize, Red Dari & Soya Bean Oil. Dust extracted for a healthy respiratory system. Minimising dust levels within the stable environment is essential to help your horse maintain peak health and fitness. Free draining and highly absorbent. Allows wet to drain away freely to the bottom layer, ensuring that the surface of the bed remains dry. Quick and easy to maintain. Droppings are easily removed little waste whilst the underlying wet patches are quickly removed by fork. A naturally warm, soft and comfortable product with a pine fresh odour. The bedding improves stability under foot and offers very little movement. Doesn't cling to manes, tails or rugs. The bedding stays in the stable and not on your horse! Reduces grooming time and saves on waste. Environmentally friendly natural wood fibre. Sourced from sustainable resources in the UK, the bedding makes excellent compost after use. 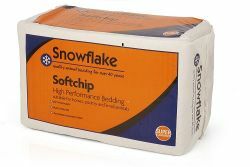 Snowflake Softchip is the perfect bedding choice that enables you to spend less time mucking out or grooming and allow for more quality time with your horse, whether riding for pleasure or competing at the highest level. As used for over 8 years by Ben Maher, Olympic team gold and European team gold medallist, currently ranked World number 2 and British number 2 in show jumping. 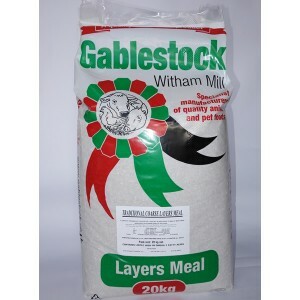 Suitable for horses, poultry, rabbits, guinea pigs, hamsters and most small rodents. Excellent bedding with exceptional absorptive power. These wood fibres are therefore not only efficient and economical but they also reduce the manure volume significantly. Recommended as bedding for your horses. 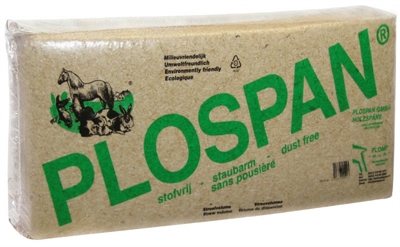 As it is a dust-free product, which prevents irritation of the respiratory tract. It is also soft and comfortable, protecting the horse’s joints. Made from 100% natural hemp, Aubiose is dust-free and perfect for keeping your hens or rabbits cosy at night. It is much more absorbent than straw and shavings and has natural fly repellent qualities, making it ideal bedding for hens, rabbits, guinea pigs and horses. After use Aubiose can be added to your compost heap as it decomposes quickly, creating an organic fertiliser which can be used in the garden. Ideal bedding for hens, rabbits, guinea pigs and horses. It is much more absorbent than straw and shavings and has natural fly repellent qualities. 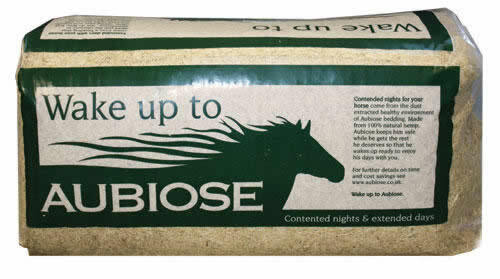 Because Aubiose bedding is so absorbent and because it also traps smells and ammonia, you can keep a deep litter bed and still have a pleasant smelling stable for your horse..
At BAGFORCE we understand that ex battery hens need a little extra support upon rehoming and are happy to recommend suitable feeds.